Taking his cue, from another basketball star Kobe Bryant, Grant Hill had Platelet Rich Plasma (PRP) treatment. The procedure popularized after Kobe Brant had it performed on his. 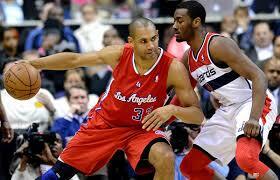 Grant Hill playing for the LA Clippers stated it was “icing on the cake”, and it is the best he has felt in years. Platelet Rich Plasma (PRP) is becoming popular with elite athletes, especially for knee problems. Professional golfer Tiger Woods and tennis star Rafael Nadal also have had PRP for their knees. Platelet Rich Plasma (PRP) is a technique where the patients own blood is concentrated to deliver a high concentration of platelets that may be injected into an injured area such as the knee. Platelets release growth factors that may be effective in healing chronic knee problems, or speed recovery in acute knee problems. 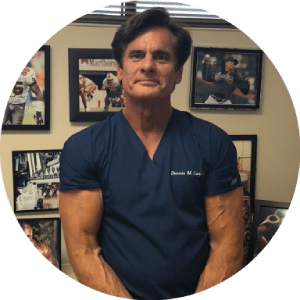 The number of athletes that have turned to PRP is an amazing testament, notes Dennis M. Lox, MD,. It is more interesting that it is also the elite athletes in many different sports that have used PRP. Dr. Lox has treated many patients with PRP for a variety of knee problems, including athletes with failed knee surgery.